Nails play a huge part in our beauty. Even though they didn't use to matter that much back in the old days, ever since they made an appearance on social media and all these nail artists started showcasing us their talents, we were immediately blown away and we wanted to jump in on it. 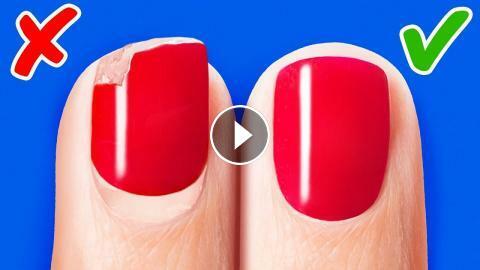 So, in this video, we are sharing with you some inspiring nail hacks, designs, and tips that will help you achieve you are looking for without having to spend a ton of money at a nail salon.